I've had my dog for over 1 and a half years now. I know that GSDs shed heavier in spring and autumn, so yes, since it's spring, heavy shedding is expected. We've moved three times so far (same city, different flats). The 1st one had dark floor, the 2nd was carpet, now our place has a light wooden floor. I don't know if it's because of the light floor that I'm noticing his shedding even more or if he is indeed shedding more than usual, but this is getting out of control. I hoovered the whole flat spotless while he waits in the balcony. I literally just brushed him super thoroughly before I let him in, and I do brush him every other day now (instead of twice to thrice a week). But 15 mins later, the floor is flooded with his fur again. Since I've had him, I have never ever experienced his shedding this bad! Are there any suggestion on how to keep his shedding under control? Remedies, meds, shampoo, food? Are robot vacuums recommended? I work 9 to 6 everyday and don't have time to hoover and mop everyday. The shedding has gotten really bad that I had to throw away some of my clothes because his fur were just dominating and destroyed them. We blow coats out with an airforce dryer every now and then, you'll need a place outside to do so as it will make a mess. I've used an air compressor too, however the dryer works best. For one, carpet can be more forgiving so far as dog hair "spotting" goes. You can get carpet that really minimizes the sighting of dog hair. It's still there but on hardwood, it gathers into dust bunnies and taunts. Intact females blow coat about twice a year but other than that (which is pretty amazing dump) they (at least mine) shed far, far less than a spayed female. A couple of things that help me with a more thorough grooming are: cornstarch worked in as though it were a powder you were trying to get to the skin (because it is) will ease the undercoat out; a Furminator comb. That's for my stock coats. Haven't had a long coat since I got the furminator but the corn starch worked with them. There's also the undercoat rake, a bunch of other tools and ending with a slicker brush and topping off with a standard bristle brush. There's a good reason the nick-name for the breed is the German Shedding Dog! There is no magic cure to stop the shedding. I often get my dog professionally bathed and blown dry during the shedding season. It does help, as it gets rid of a massive amount of loose hair. If you keep your dog mainly indoors in the winter, they will grow less winter coat, which will make the spring shed a bit less of a chore. The Air Force dryer sounds like a good idea. And of course, brush, brush, brush, vacuum, vacuum, vacuum! Or in your part of the world, hoover, hoover, hoover! 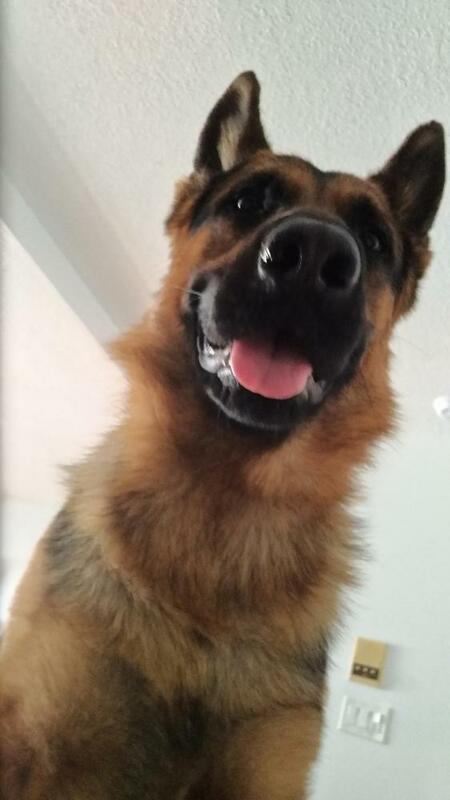 I have 2 double coated dogs (1 is GSD), and I have had varied experiences with their shedding. Overall, my GSD has more "everyday" shedding, but neither of them have a super heavy coat blow. My keeshond used to have a couple weeks of dramatic (but controllable) coat blow spring and fall, but not anymore. I think quality of diet plays a big part in overall shedding and even how they blow their coat (my info is anecdotal at best, though); and I've heard this from other GSD people as well. Regular grooming absolutely helps - I definitely notice the hair accumulate when I get a little lax on keeping up with brushing. What tools are you using? A good undercoat rake is a lifesaver! Nigel is right, air force dryers are the bomb. I'm lucky enough to have a local pet store that has a self serve dog wash, including a force air dryer! We use that every now and then when the weather is not-so-nice. And my sister (who has Siberian huskies) has a force air dryer that we borrow every now and again when we can use it outside. If your boy is really, really sheddy, maybe it's worth bringing him to a professional groomer a few times a year for a "de-shed" treatment? changing to raw will help. I have found brushing, blowing out, brushing again, doesn't work for us. I can't brush him to the point that few or now fur comes out. I'd be at it for hours. I wish I could use a dryer, but I live in a flat... Taking him to a professional groomer might be doable, since I really do need professional help to get this under control! I've been feeding him diamond naturals extreme athlete for almost 6 months, topped with fresh liver and boiled sweet potato. He was neutered 2 months ago, idk if that makes any difference. I suppose I'll have to hoover everyday. When will this shedding fiasco start to end though? When summer hits in late May, you think? He looks pleased with himself! 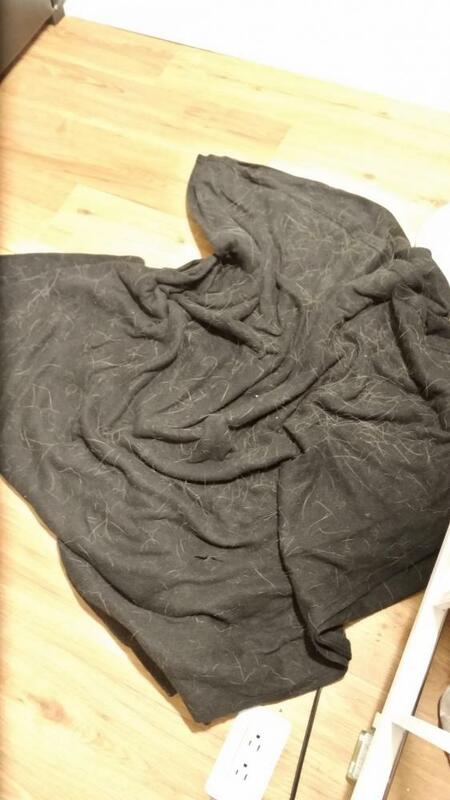 From the blanket photo, my dog sheds better/worse/more than yours. I run my robotic vacuum 2 to 3 times each day, every day, and it's canister is full after each session. My robotic cleaner is the only appliance I own that I have an emotional attachment to. I love that little machine.